Here are some tips from Bubba Tyer, the head trainer for the Washington Redskins professional football team. This is how he treats his athletes and prevents injury. the neck injury that the quarterback Gus Frerotte suffered when he celebrated a touchdown by ramming his head into a wall. Frerotte is gone from the team, proof that the smart, not necessarily the strong, survive. But Tyer is back for his 29th season with the same goal he’s had all along: to help his players recover from injuries as quickly as possible. 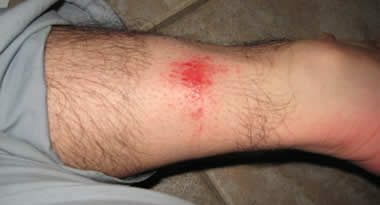 Once you’ve finished swearing, grab some ice out of the beer cooler, wrap it in a towel, and put it on your ankle immediately—your recovery time is determined in the first crucial minutes after the injury. If you wait until after the game–or, worse, after the beers after the game–you can double the time you spend on the disabled list. When you’re back home, elevate and wrap the joint. If you don’t have an elastic bandage to keep it firmly in place. Keep the ice on for no more than 20 minutes at a time, and wait for the cold feeling to subside before reapplying it. Best defense: Taping your own ankle is more difficult than upside-down origami, and at $4 a roll, athletic tape is expensive. Instead, protect your gimpy ankle with a lace-up ankle brace. It’ll do as good a job as tape, says Kevin Bastin, a 10-year assistant to Tyer. 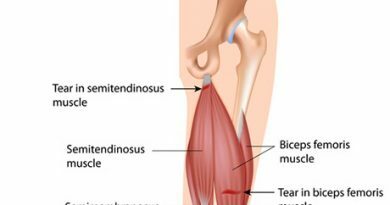 Strains happen frequently to guys who lift weights or play sports in which twisting is involved, such as softball. The key to treating one, Tyer says, is moist heat. The Redskins use heat packs called Hydroculators–compresses that stay warm for up to 15 minutes. You can buy them at drugstores, or you can get the same effect by running a folded towel under warm water and placing it on the affected area. Reheat as needed. Best defense: Some lower back pain is caused by an imbalance between strong back muscles and weak abdominal muscles. To fix the problem, work on your gut. Sets of 20 crunches are a good start, says Price. If you played sports in high school, you remember the soothing relief of BenGay on sore muscles (and the burning when that locker-room funnyman applied it to your jockstrap). The Redskins use two similar products, Flexall and Tiger Balm, to help, loosen stiff muscles and balky joints. Squeeze a dab into your hand and massage it into the muscle with your fingers. It can heat up the area and make it more comfortable, says Tyer. And the massage increases blood flow. That helps muscles heal more quickly. Makes you smell like an athlete, too. Best defense: Don’t take tomorrow off. NFL teams play on Sundays, but their day off is Tuesday. The reason is that waste products, such as lactic acid, build up in muscles after intense work. If left to sit, they harden, making you even more sore 2 days after your game. By doing a light workout the day after a tough one, you can move the junk out of your muscles earlier and recover faster. Try to relax as you wait to regain your breath–panicking can lead to hyperventilation when your lungs finally start working again. When you’re able, clamber to your knees and breathe in through your nose and out through your mouth. Ice it immediately to prevent swelling. If the pain and stiffness persist for more than a few hours, have an x-ray. Unless there’s a break or severe ligament damage, your biggest problem will be scar tissue, which can lead to gnarled knuckles, says Tyer. To hinder scar tissue formation, don’t splint the finger, and keep it moving as much as possible. Take ibuprofen for the pain and swelling, then hop into a warm shower and angle the spray to hit the sore area. After a few minutes, gently roll your neck back and forth like a boxer to loosen up the muscles. You can try to exercise, but don’t do anything that makes the pain worse. If it doesn’t feel better in a day or so, see your doctor. Sit down and put your head between your legs. This will help stop that sick feeling in the pit of your stomach, says Price. Next, reach into your shorts and count your little buddies. If there’s only one, his partner may have been knocked up into your abdomen. You’ll need to see your doctor to coax it back down. You’ll also need to see a doc if there’s swelling, bruising, or prolonged pain. Ice the injured gonad on your way to the physician. The cold will be intense, so apply it over your underwear. Pinch your schnozz to stanch the flow of blood, and lean your head forward. Put a bag of ice on the bridge of your nose. The cold will help stop the bleeding even faster. Don’t return to the game right away; ask one of the cheerleaders for a tampon, cut off a piece, and use it to plug your nostril. They are extra-absorbent, says Price. And you’ll feel extra-fresh. A dentist can reimplant a knocked-out tooth, but you have to get to his chair within 30 minutes. Before you hop in the ear, clean the tooth with water and store it in a cup of milk. Best defense: If you’re playing a contact sport, wear a mouthguard. It protects you against losing teeth and can lower your chances of a jaw fracture or concussion by acting as a shock absorber, Tyer says. Your dentist can fit you with an extra-thin one that’s hardly noticeable. even when out of the action. St. Louis Cardinals lineman, is said to have toothed a number of defensive tackles.) If some idiot decides to take a chunk out of your leg at the bottom of a serum, go to your doctor immediately. Human bites are deadly serious because of the high risk of infection and disease, Price says. No matter how superficial a bite is, you need to see a professional. 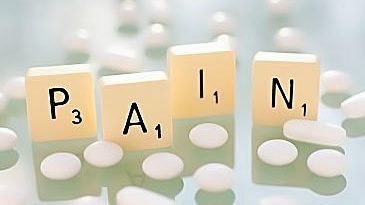 ibuprofen for pain; they can encourage hemorrhaging. Take Tylenol instead. Trying to gun a guy out at the plate after a winter of channel surfing is a great way to injure your rotator cuff, which can take months to heal. A tear usually shows up as vague pain in the shoulder area, and it may result in a catching sensation when the arm is rotated. See your doctor if a day or two of reduced activity doesn’t help. The initial treatment is rest and anti-inflammatories. But as soon as pain levels permit, start physical therapy to regain motion. Best defense: Do lateral and front raises with 5-pound dumbbells to strengthen the smaller muscles in your shoulder. Also, Price says, you should stretch your shoulder joint frequently by draping a towel over your shoulder, grasping it with the opposite hand and pulling it up and down, as if you were drying your back. Do 10 repetitions on each shoulder. If you play softball, warm up between innings to keep loose. If one of your shoulders pops out of joint, you’ll be able to tell by its appearance and your blood curdling screams. If this is a repeat dislocation, you may be able to gently coax it back into the joint yourself. Don’t try to do a Mel Gibson and force it back; you might do even more damage to the ligaments. A separated shoulder is essentially a sprain, and should be treated with ice and anti-inflammatories and a trip to the doctor. Tip: Because of your shoulder’s shape, it can be difficult to make a bag of ice cubes stay in contact with the joint. Instead of cubes, try crushed or flaked ice. With a little pressure it will form to your shoulder, providing even, constant cold. Any injury to your eyes warrants careful evaluation by a doctor, says Price. Be especially concerned if your vision is distorted. If you take a blow to the eye, you can put an ice pack over your eye socket, but it’s smart to keep it off your eyelid. If a foreign object enters your eye, wash it away immediately by flushing the eye with eyewash (or water, in a pinch). Even a speck of dirt can cause infection or a scratch on your cornea. If it lodges under a contact lens, it can cause an ulceration. Always stop what you’re doing and rinse away anything that gets in your eye, Price says. Your ribs are involved in every activity you enjoy, especially breathing. Use a cold compress for mild discomfort. If serious pain persists for more than a day, or gets worse, you should see your doctor, Price says. But expect even mild rib-cartilage damage to take a month or so to clear up. Hopefully, you’ve enjoyed these NFL home health remedies!